May Robson's fans are in all corners of the globe, and that's probably because she lived in all corners of the globe. From a British family but born in Australia, where she spent part of her youth, she developed a restless spirit at an early age. When she married, her first husband had a restless spirit too, and they wound up on a ranch in Texas. But that didn't work out, so May eventually settled in New York. When she began as an actress, she was a single mother, and though she was not yet 30, she quickly fell into character roles. She became very successful and had her own touring company, which led her across the United States. In the silent film days, she tried her hand at the motion picture business but at first it didn't take. She was soon back on stage. But a decade later, near the advent of sound, she was once again on screen. When talkies took over, she found her niche playing crusty but lovable old gals, and she was occasionally top-billed. At 73, she was nominated for an Oscar as best actress in Frank Capra's LADY FOR A DAY. She followed this role up with many other hits over the next nine years. 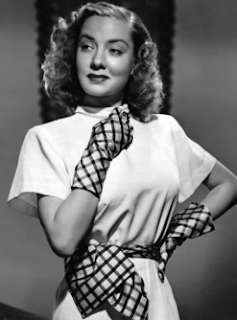 By the time she passed away at age 82, she had appeared in over 30 classic motion pictures. May Robson present and accounted for..! As Barbara Stanwyck found out the hard way in NO MAN OF HER OWN, it was better to have no man than to have Lyle Bettger as your man. Bettger practically walked away with the picture. In Mitchell Leisen's tense noir melodrama, he played Stanwyck's ex-boyfriend and the father of her illegitimate son who comes to town to blackmail her. Around this time, Bettger also turned up as a criminal in Paramount's UNION STATION and as an ex-convict in DEAR BRAT. 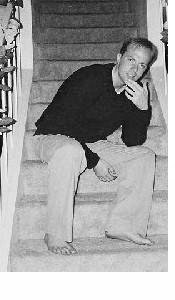 At 35 and breaking into the movies, the actor was likely too old to be promoted as a lead, but still handsome enough to play roles where he could cause trouble for the leading couple. So immediately, he was typecast as the suave villain. And for the next five years, Paramount used that persona to great effect, frequently assigning Bettger to crime dramas and westerns as the quintessential baddie. By the later part of the 50s, he was transitioning to television, where again his stock in trade would be shady ne'er-do-well type roles. Whenever casting directors needed a shyster, he was often the one they called. Lyle Bettger present and accounted for..! 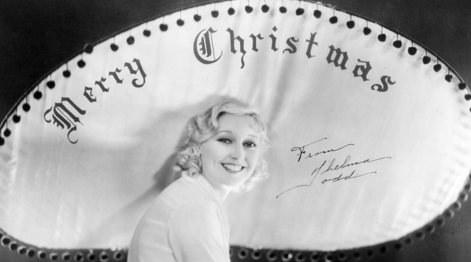 In less than ten years, Thelma Todd went from budding Hollywood hopeful to iconic film star. She arrived in the movie capital in 1926, fresh off her win as Miss Massachusetts. 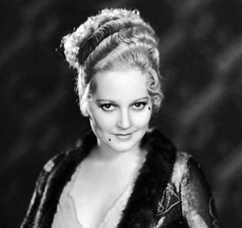 She was signed by Paramount and put in silent films that showcased her beauty. And by the time sound films took over, she had opportunities to show off her skills as a comedienne. She worked with most of the top screen comics of her day-- Charley Chase; Harry Langdon; Buster Keaton; Jimmy Durante; Wheeler & Woolsey; Laurel & Hardy; ZaSu Pitts; and Patsy Kelly to name a few. When she left Paramount and went to work for producer Hal Roach, she continued making features but also appeared in a series of successful short films with Pitts then Kelly. 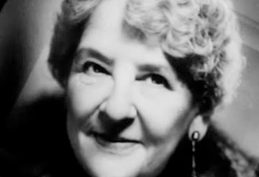 Her death in 1935 was shrouded in mystery, but her legacy is as clear now as it ever was. Thelma Todd present and accounted for..! For years Lionel Barrymore had played the part of Ebenezer Scrooge in annual radio broadcasts of Dickens' A CHRISTMAS CAROL. But the year his studio decided to produce a film version, he fell and injured his hip. 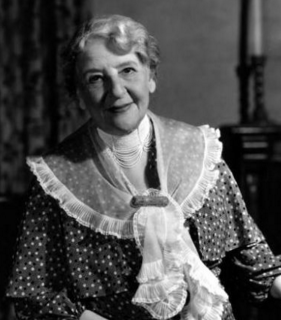 Unable to play the miserly tightwad on screen-- Barrymore's friend Reginald Owen took over, with Barrymore's blessing. Some might say Owen and this MGM version are ultimately too cheerful, but its status as a classic is undeniable. Owen was 51 when he played Scrooge, and he was familiar to stage and screen audiences for the many roles he had been performing in America since the early 20s. His screen career continued until the year before his death in the 1970s. 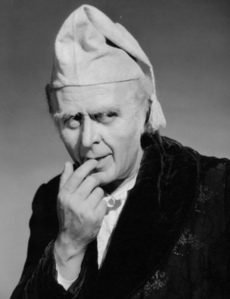 While Owen became a household name as Ebenezer Scrooge, another British character actor became a household name for his portrayal of Kris Kringle. 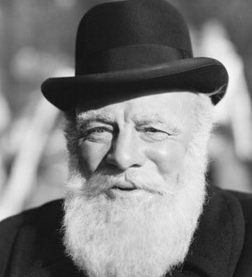 Edmund Gwenn had played a variety of parts on screen in his native England and in Hollywood before he was cast in the role of a lifetime in 20th Century Fox's THE MIRACLE ON 34TH STREET. As an elderly gentleman whose sanity is brought into question when his gig as a department store santa seems to be something he takes seriously, Gwenn won the heart of a believing little girl (Natalie Wood) and movie watchers everywhere. Gwenn became so identified with this film that Fox was still referring to it when they advertised his later assignments in MR. 880 (cast against type as a counterfeiter) and SOMETHING FOR THE BIRDS (as a stuffy old admiral). Ebenezer and Kris Reginald Owen and Edmund Gwenn present and accounted for..! Can you guess the ones I'll be spotlighting? Saturday December 26th: Mickey Rooney's dad and his frequent leading lady. 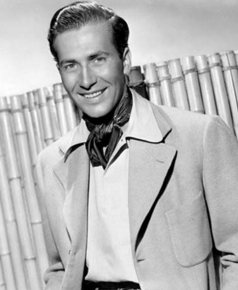 Sunday December 27th: Popular Paramount stars of the 1940s (one often wore a sarong). Monday December 28th: Republic's talented child star on ice. 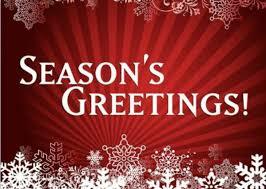 Tuesday December 29th: A Warner Brothers lead who later made a strange bargain. Wednesday December 30th: MGM starlet of the late 40s, often cast in noir. Thursday December 31st: A Fox lead in the mid-50s, cast in westerns and biblical epics. Friday January 1st: Two character actresses paired in MGM comedies during the early 30s. Joe Yule was an established vaudeville comedian who did not start appearing in motion pictures until 1939. 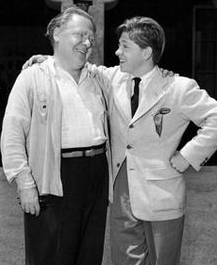 This occurred after his son Mickey Rooney had found enormous success at MGM. And since Yule only worked at MGM from 1939 to 1946, it is probably correct to say his son's clout at the studio helped him get his foot in the door and keep him there. Yule usually had small parts, but he kept busy-- appearing in almost 40 features plus a few short films at the studio during this time. When MGM sold its film rights for the Bringing Up Father comic strip to Monogram, Joe Yule went to Monogram to play Father. It was a hit, and a bunch of sequels were made, which were slightly retitled and known as 'Jiggs and Maggie' comedies. Yule's leading lady in these pictures was Renie Riano, a British stage actress who had come to Hollywood in the late 30s. 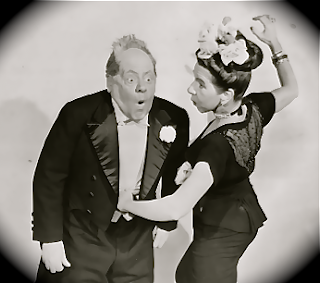 Altogether, Yule and Riano costarred in five movies; and there probably would have been more of these crowd pleasers, if Joe Yule had not passed away at age 58 in 1950. Joe Yule and Renie Riano present and accounted for..! A lot of solid options for you to highlight. My wish would be the gal that often wore a sarong; Dorothy Lamour (with the focus NOT being on the Road pictures since too many know her just for those films and she did other fine work). Yes. The road movies have to be mentioned, but they will probably get one sentence. 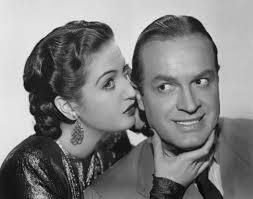 Bob Hope and Dorothy Lamour appeared in many films together, usually comedies that did well with audiences. A batch of them were road comedies with fellow Paramount star Bing Crosby. This long-running association began in the late 30s with the studio's all-star production of THE BIG BROADCAST OF 1938. 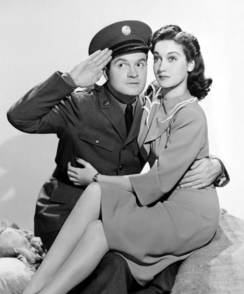 In the early 40s, they had their first costarring vehicle together-- 1941's CAUGHT IN THE DRAFT, a military satire produced six months before the U.S. entered WWII. As the war years got underway, Hope and Lamour made other comedies and did USO work to entertain the troops. Lamour's screen career tapered off in the mid-50s, but she occasionally turned up on Hope's television program. One September 1966 broadcast of his weekly series reunited the comedian with Lamour and the rest of his leading ladies from the movies. In the 70s and 80s, Lamour could be counted upon for guest appearances on Hope's variety specials and on talk shows and interview segments that discussed their longtime collaboration and friendship. Dorothy Lamour and Bob Hope present and accounted for..! 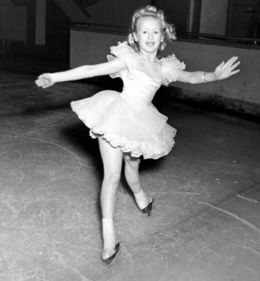 Twinkle Watts was a miniature Sonja Henie who made a series of movies at Republic Studios in the mid-40s. Interestingly, her parents ran the studio commissary, and when she made a name for herself as a juvenile ice skater, Herbert Yates figured she could help attract the kiddie crowd. 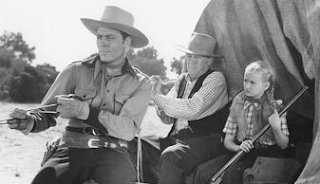 Soon he started featuring her in supporting roles in his pictures-- usually westerns with Don Barry and Allan Lane, though she did occasionally appear in non-western roles. She was Lane's daughter in the post-war melodrama A GUY COULD CHANGE. If you get the chance to see her first film, THE MAN FROM THE RIO GRANDE (currently available on the Paramount Vault YouTube page), she has a spectacular skating scene. Twinkle Watts present and accounted for..! Originally producer David Selznick wanted to cast Warner Brothers contract player Jeffrey Lynn as Ashley in GONE WITH THE WIND. 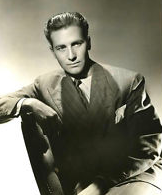 He certainly was younger than Leslie Howard and probably more of what Margaret Mitchell had envisioned. But at that point, Lynn was not a big name star, though later in 1939 he would gain notice for his role in WB's THE ROARING TWENTIES. The studio put him in a succession of crime films and romance dramas in the early 40s, and while his movie career did not reach spectacular heights, the good-looking actor was seen as a dependable lead in modestly budgeted programmers. When he left Warners, he wound up at Universal where he played opposite leading ladies like Deanna Durbin and Yvonne de Carlo. But perhaps his greatest role did not occur until the end of the 40s, when he starred in RKO's noir STRANGE BARGAIN as a husband who finds himself involved in his boss' death with no discernible way out. A 'sequel' was made almost forty years later as an episode of TV's Murder, She Wrote. 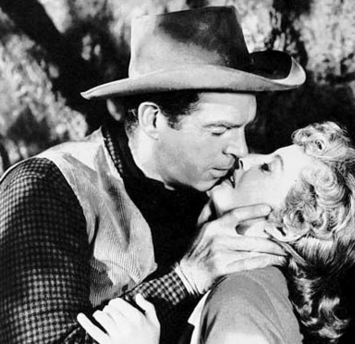 In the follow-up story, Jeffrey Lynn was reunited with Martha Scott and Harry Morgan, his costars from the earlier picture. Jeffrey Lynn present and accounted for..! Audrey Totter was an MGM contract player who made a name for herself in some of the studio's films during the mid- to late-1940s. 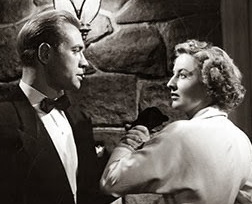 Usually, she was assigned to parts in noir-- and notable works included THE LADY IN THE LAKE, directed by costar Robert Montgomery; and THE HIGH WALL, a psychologically-tinged suspense drama that paired the actress with Robert Taylor. Another stand-out role occurred on loan out to RKO, where she played the wife of boxer Robert Ryan in Robert Wise's THE SET-UP. By the early 50s, she had left MGM and was freelancing at Columbia and Fox. She turned up in the war drama MISSION OVER KOREA with other former MGM stars like John Hodiak and Maureen O'Sullivan. By the middle part of the decade, with her film career in decline, she began taking roles on television. She found supporting parts in series during the late 50s and early 60s. In the 1970s, she experienced a slight resurgence with a continuing role on the hit drama Medical Center. 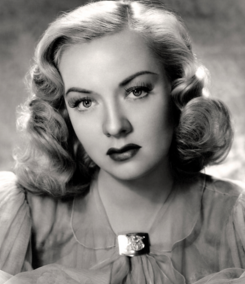 Audrey Totter present and accounted for..! 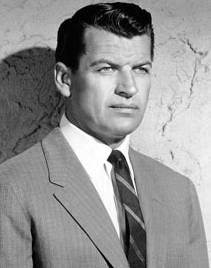 Richard Egan was a highly athletic performer who brought new definition to the roles he played in action adventures, westerns and sword-and-sandal epics. His first film appearance was in 1949, and over the course of the next few years, he played in movies with Joan Crawford, Evelyn Keyes, Robert Mitchum and Linda Darnell. By the mid-50s, he was a sought-after leading man under contract at 20th Century Fox-- appearing in THE VIEW FROM POMPEY'S HEAD; SEVEN CITIES OF GOLD; and TABLE AT TENSION ROCK. 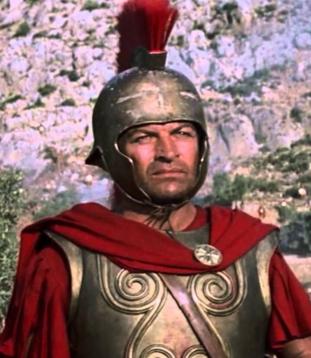 But perhaps his greatest achievement was as the lead in Fox's historical epic THE 300 SPARTANS in 1962. As the 60s continued, he turned to television, appearing in a weekly western series and guest-starring on numerous other programs. Egan continued to live an active lifestyle and would still snag lead roles in the 70s. During the 1980s, he starred in the CBS daytime soap opera Capitol. When the series ended in 1987, he shocked cast and crew by revealing he had terminal cancer. He died later that year, but the very much respected star would always be remembered for the strength and courage he brought to every situation. Richard Egan present and accounted for..! Marie Dressler had been a highly-regarded stage actress for much of her career and had done some early silent films (one of note with Charlie Chaplin). But she was relatively unknown by movie audiences in the late 1920s, when her friend, screenwriter Frances Marion wrote a part just for her. 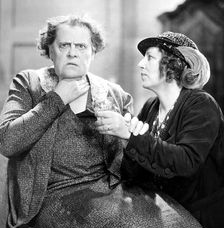 It was the blustery Irish matriarch Mrs. Callahan, paired alongside Polly Moran, in MGM's 1927 comedy-drama THE CALLAHANS AND THE MURPHYS (Moran was Mrs. Murphy). The Dressler-Moran rivalry on screen generated plenty of comic sparks, and soon the studio created a series of vehicles in which the two basically became the era's best-known, best-loved frenemies (long before the term was even invented). The women transitioned with ease into the sound era, and their trademark sparring is on display in such classics as POLITICS, PROSPERITY and REDUCING. When Dressler passed away in 1934, Moran soldiered on in other comedies. She wound up at Republic, appearing opposite Alison Skipworth. However, Skipworth's refined style of comedy played differently, and there really was no foil for Moran like Dressler had been. 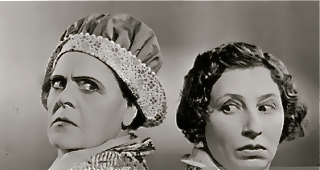 Marie Dressler & Polly Moran present and accounted for..! Saturday January 2nd: Phyllis Dietrichson and Walter Neff. Sunday January 3rd: A romantic pairing in FOUR DAUGHTERS and DAUGHTERS COURAGEOUS. Monday January 4th: Audie Murphy's first wife and costar in SIERRA. Tuesday January 5th: An RKO contract player in the mid- to late-40s, frequently in noir. Wednesday January 6th: An RKO starlet in the early 50s, had a recurring role later on TV's Lassie. Thursday January 7th: A British lead/character actor who wound up in Jurassic Park. Friday January 8th: Margo Channing and Bill Sampson. They were always playing ill-fated lovers. Or so it seemed whenever a studio paired Fred MacMurray and Barbara Stanwyck in a movie. The first time occurred in 1939, when Barbara played a woman arrested for shoplifting at Christmastime in Paramount's holiday classic REMEMBER THE NIGHT. Fred was the prosecutor who took a shine to her and almost threw the case to keep her from jail. 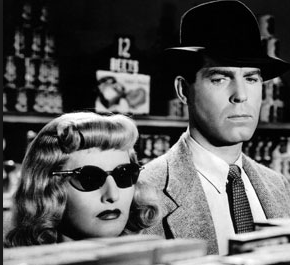 Paramount repeated the formula in the noir classic DOUBLE INDEMNITY in 1944. That time Barbara was more ruthless and deadlier, and Fred was entirely corrupted by her in the process. A decade later, they reunited for Warners' western THE MOONLIGHTER, again playing lovers without much luck on their side. And finally a fourth collaboration, in Universal's sudser THERE'S ALWAYS TOMORROW. The drama had them as old flames rekindling a romance, despite the fact Fred was married to Joan Bennett. Phyllis Dietrichson & Walter Neff Barbara Stanwck & Fred MacMurray present and accounted for..! 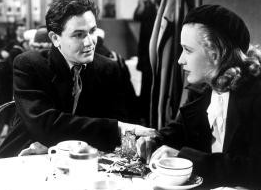 John Garfield and Priscilla Lane were both under contract at Warner Brothers in the late 1930s and early 1940s. The first time they played opposite each other on screen, they were in the studio's runway hit FOUR DAUGHTERS. Of course, their characters faced all kinds of obstacles-- including her father (Claude Rains). Warners quickly manufactured a similar romance drama DAUGHTERS COURAGEOUS, which reteamed the stars and capitalized on their popularity with audiences. There was also another collaboration, the crime drama DUST BE MY DESTINY, where they were a young pair on the run. No matter what sort of plot contrivances were thrown at them, they were magnetic on screen and delightful to watch. John Garfield & Priscilla Lane present and accounted for..! 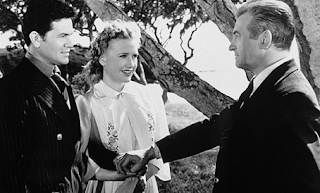 John Garfield and Priscilla Lane were both under contract at Warner Brothers in the late 1930s and early 1940s. The first time they played lovers on screen was in the studio's runway hit FOUR DAUGHTERS. Of course, they spent a large part of the story overcoming all kinds of obstacles and gaining the approval of her father (Claude Rains). Since Garfield's character was killed off and would not be reappearing in any sequels, Warners quickly manufactured a similar romance drama DAUGHTERS COURAGEOUS, which reteamed the stars and capitalized on their popularity with audiences. There was also another collaboration, the crime drama DUST BE MY DESTINY, where they were a young pair on the run. No matter what sort of plot contrivances were thrown at them, they were magnetic on screen and delightful to watch. I don't mean to be picky, but far from being lovers in the above two films, wasn't Dean's character really in love with Jeffrey Lynn's? Dean more or less ran away with Garfield as a kind of rebellion. She didn't seem, at least to me, too broke up, when his character died. And in the second film, he was kind of there in spirit only, no romance. It wasn't until DUST BE MY DESTINY that they really satisfied the lover criteria. I'm not questioning the chemistry, just the romance aspect, after all Garfield's big selling point was that of the misunderstood outsider that didn't always quite fit in. He wasn't a classic romantic lead. That's fine. He was typecast as the anti-hero..but they were still promoted as a couple in the three films I mentioned...weren't they? When you say 'in spirit only,' are you referring to FOUR WIVES or DAUGHTERS COURAGEOUS? You're right, it was FOUR WIVES I was referring to. However, I don't think Dean and Garfield were promoted as a couple for the first film. It was Garfield's first film after all. Maybe they were promoted as a couple for reissues of the first film due to Garfield's popularity. Who is Dean? Do you mean Lane? My favorite John Garfield film is "The Postman Always Rings Twice." Garfield and Lana Turner were so intense together! I think he was one of the best romantic actors because he always seemed completely fascinated with his leading ladies. I had no trouble believing he was in love with them. I have revised my earlier post re: Garfield & Lane. I didn't want to give plot spoilers about FOUR DAUGHTERS, plus I wanted to clarify a few points, based on your comments. Thanks for helping. I love that film as well. And I read it was Lana's personal favourite, of all the films she made. Another one I enjoy a lot is called UNDER MY SKIN, which he did near the end for 20th Century Fox. It was an adaptation of a Hemingway story and the material suits him perfectly. Plus, he gets to play opposite Micheline Presle who is one of my favourite French actresses. Wanda Hendrix was discovered by a talent scout in the mid-40s, and she made her screen debut at Warner Brothers. A few minor roles in big budget productions allowed her to be seen by two important men. One was Robert Montgomery, who cast her in a key part for his noir RIDE THE PINK HORSE at Universal. 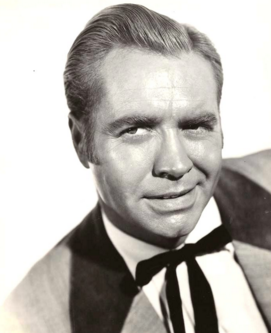 And the other guy was Audie Murphy, who took a more romantic interest and played opposite her in the Technicolor western SIERRA. 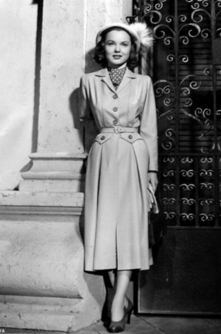 The actress hit her stride in the late 40s and early 50s with starring roles in films at Universal and Paramount. She married (and quickly divorced) Murphy, who was suffering from post-traumatic stress related to combat in the war. 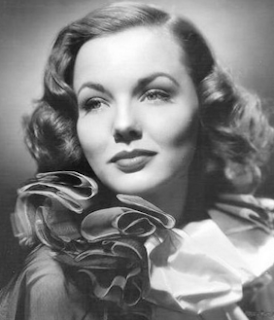 Wanda Hendrix continued to appear in motion pictures, but the quality of the scripts being offered to her declined. She had a slight resurgence at Columbia in the mid-50s, making a series of modestly budgeted western programmers until another marriage slowed her output. She would occasionally do guest appearances on television, and her last movie was in 1972. Wanda Hendrix present and accounted for..!